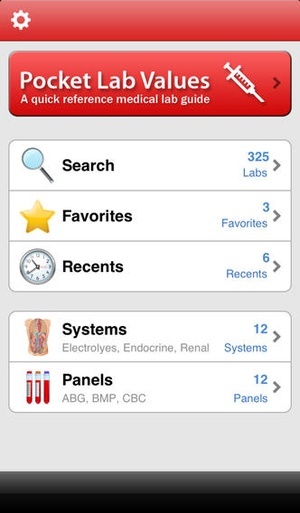 Highest rated lab values app on iOS! 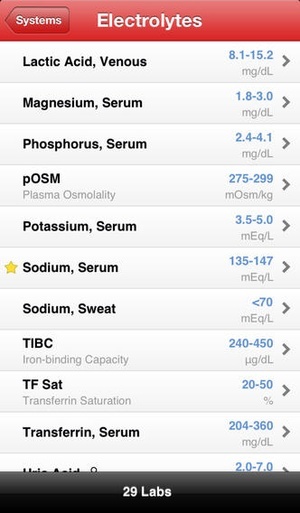 Pocket Lab Values is the perfect companion for health professionals with access to over 320 common and uncommon lab values. 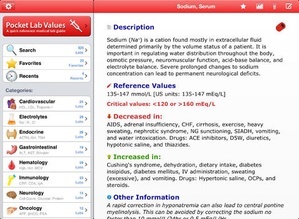 Designed for medical providers in training and in practice, Pocket Lab Values contains the most important information needed during the daily practice of medicine with critical lab values, differential diagnoses, and relevant websites for each lab value. 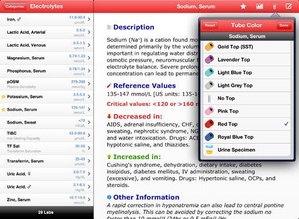 Plus, data that varies from hospital to hospital like tube colors and reference values can be edited to match your specific institution. Medical and nursing students will also appreciate the notes feature, which lets you add additional information to the app to remember later. What makes this app better than the rest? 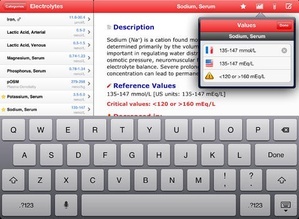 Pocket Lab Values has more lab values than any other app on the store because of constant feedback from individuals like you who help to strive and make this app better for everyone. 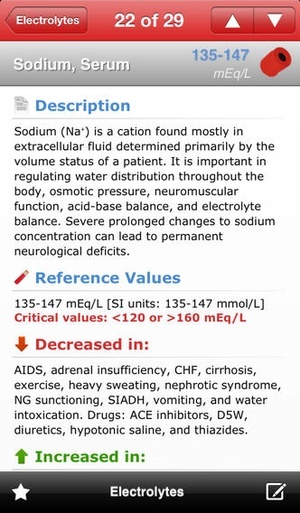 Included are more than 320+ lab values in the following categories + Cardiovascular (24) + Electrolytes (29) + Endocrine (28) + Gastrointestinal (19) + Hematology (59) + Immunology (33) + Neurology (14) + Oncology (12) + Renal (26) + Respiratory (16) + Toxicology (33) As well as easy access to common lab panels + Antibody Screen + Arterial Blood Gases (ABGs) + Basic Metabolic Panel + Complete Blood Count + Comprehensive Metabolic Panel + Iron Panel + Kidney Function Tests (KFTs) + Liver Function Tests (LFTs) + Lipid Profile + Lumbar Puncture + Thyroid Function Tests (TFTs) + Urinalysis Lab results have the following information Detailed lab information telling you about the lab in general and why it's usually ordered Reference values in both and units Ability to edit normal values, critical values and tube colours to match your local hospital laboratory High and low differentials indicating to you possible disease states that could tip you in the right direction of potential diagnoses. Ability to write and save notes for you to view later for your reference Information about any special tasks needed in order to get accurate results (i.e. 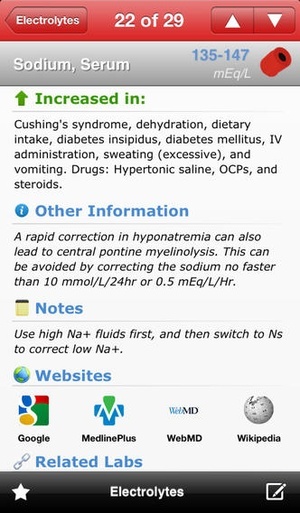 chill sample on ice, tell patient to fast the day before, specific foods to avoid that may cause inaccurate results) Links to useful external website content from Google, Wikipedia, MedlinePlus, LabTestsOnline, and WebMD Other related labs often ordered in a panels together. 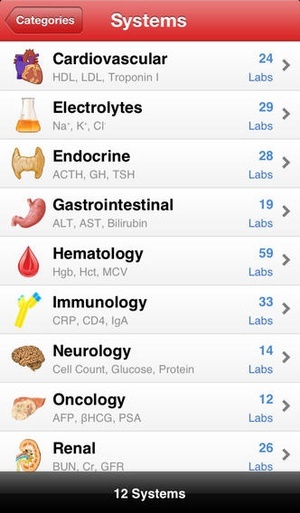 Pocket Lab Values has been the leading medical lab value app on the App Store in helping nurses, medical students, and doctors treat their patients quickly and effectively. 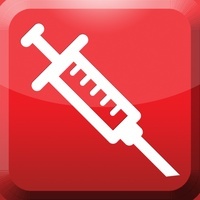 Check these links to find your download for Pocket Lab Values for & iOS or for your device iPod TouchiPhoneiPad. 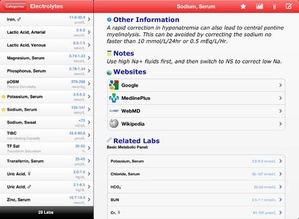 The app Pocket Lab Values is compatible with te following devices.